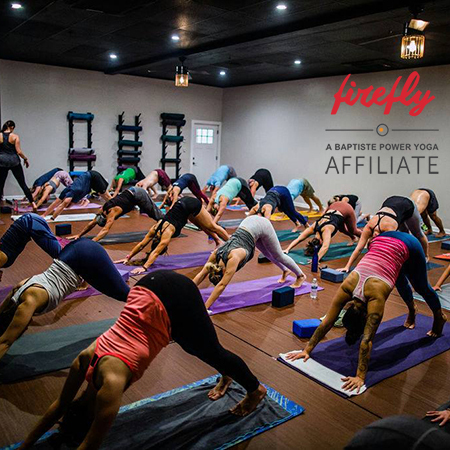 Welcome Firefly Yoga As A Sponsor Of A Little Beacon Blog's Adult Classes Guide! 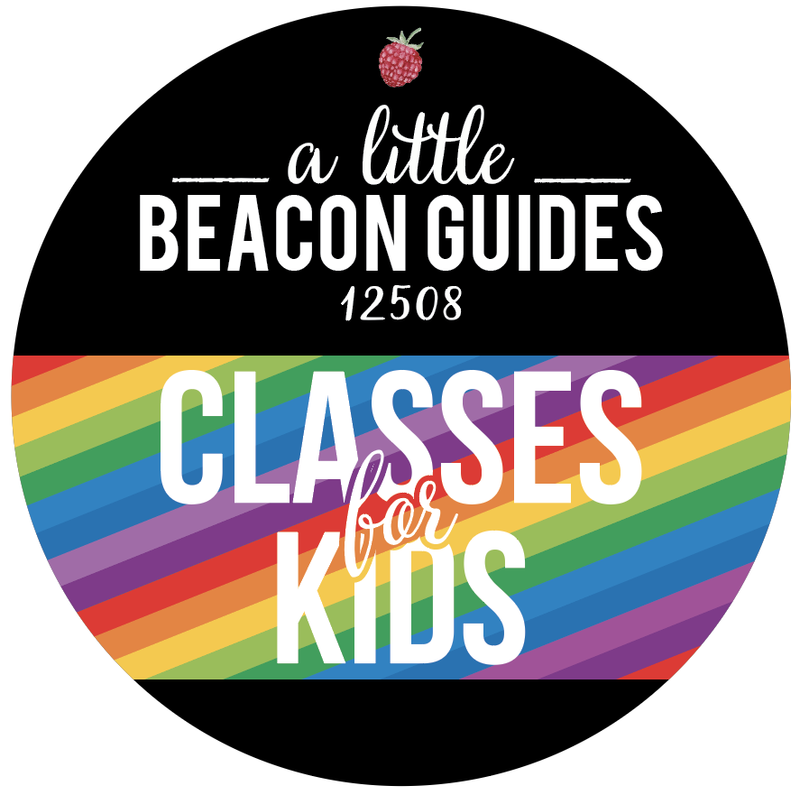 Welcome to our new Sponsor of A Little Beacon Blog’s Adult Classes Guide, Firefly Yoga and Juice Bar! With their support, we are able to show you inside their beautiful studio, feature regular and special classes, and promote to this Guide in general, showcasing many small businesses in it. See all the pictures and offerings by hitting our Adult Classes Guide right here! 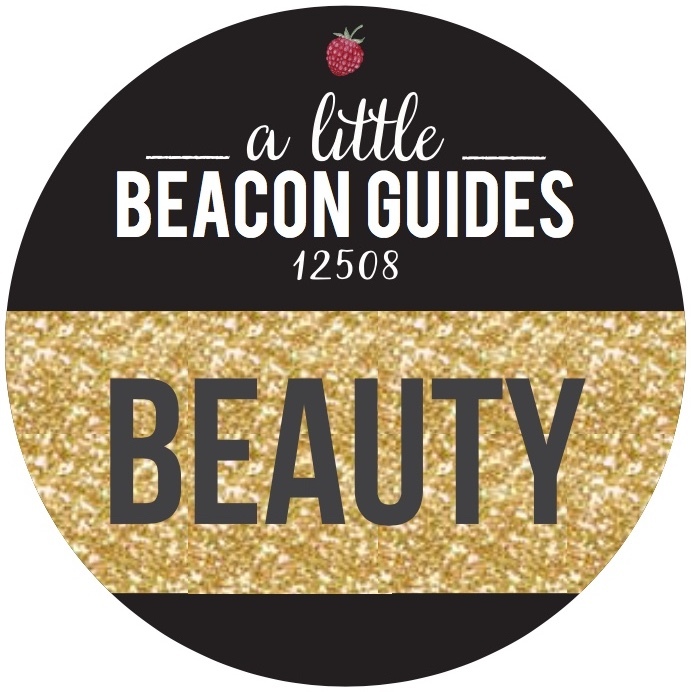 A Little Beacon Blog has partnered with Kim Beller, founder of The PEACE Project, an interactive art project to spread peace, equality, and love in the community and across the world. One thousand peace cranes will be folded, and strung into strands of 100 each, and they will be hosted by different businesses and restaurants in the Hudson Valley to promote Peace - Equality - Love. All are welcome to this free community event to fold origami peace cranes. No experience is needed - Kim will guide you through the folding process and provide origami paper. Please bring a friend! The Salvation Army is a Main Street staple. We featured the Salvation Army’s Seniors Program here at A Little Beacon Blog when there was fear of them closing their doors. The leadership at the Salvation Army has changed to Lts. Josue and Leilani Alarcón, and we’re happy to report that the Senior Program is still going strong and is flourishing after 17 years serving the community, according to Rhode Lopez Northrup, who runs the Senior Program. The Senior Program is for anyone over 50 years of age. They are welcome to come to any Tuesday and Thursday meal, and enjoy activities like taking fun quizzes, games, songs and a crafty projects. The Seniors Program in the Salvation Army will be hosting an early Thanksgiving Dinner on Tuesday, November 20, 2018. They will also have a Christmas Celebration on Tuesday, December 11, 2018. More details will be added to our Events Guide on each event. You can learn more about this wonderful program, see more pictures, and learn how to get involved and donate, by checking out this article. Did you notice this eye-catching, colorful flier while walking down Main Street? The Underground Beacon, located at 462 Main St., is offering a four-week class on Learning To Draw Comic Books. This is a unique art class offered for adults and can be found in A Little Beacon Blog’s Adult Classes Guide. The classes are taught by Dezi Sienty, a freelance illustrator, designer, editor, and letterer specializing in comic books. He also taught at Dutchess Community College. You can find more art classes as well as other types of classes for adults in A Little Beacon Blog’s Adult Classes Guide. 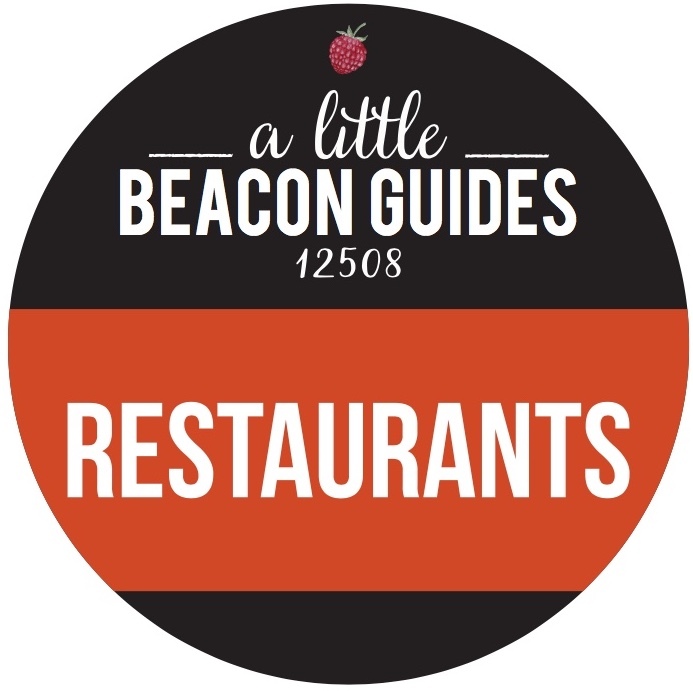 Are you hosting a class in Beacon you would like to see added to the guide? Submission Guidelines for classes you'd like us to consider adding to these guides can be found here. Or we might find them on a flier. But don’t wait! Might be too late. 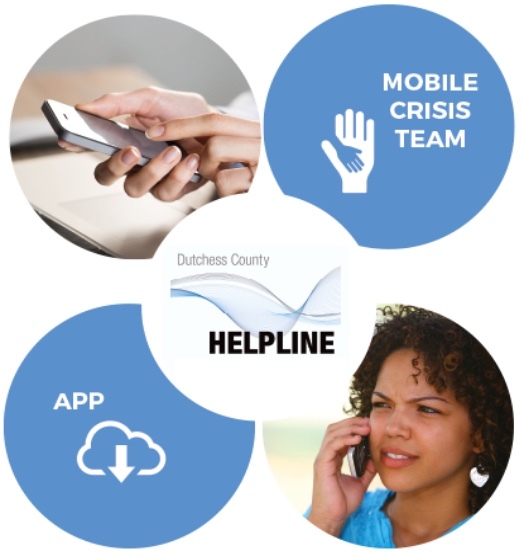 Tonight, the publisher of A Little Beacon Blog (ALBB), Katie Hellmuth Martin, delivers a Digital Marketing Presentation in partnership with SCORE Mentors Dutchess County and Tin Shingle, ALBB's sister company. Tin Shingle is a training platform for business owners and artists who are doing their own PR and marketing. The landscape of Digital Marketing as it is now. Ideas you can share as a service provider, retail shop, artist, nonprofit, and other entities. Identification of what is holding you back - and how to break through it. Come! Pre-register, as space is extremely limited. Details: Learn quick and easy techniques that your business can use today to help more people find out about your business via this complimentary seminar. Designed for business owners who run a storefront, sell a product, or provide a service direct to customers, this workshop will get you comfortable with strategies in Facebook, Instagram and blogging, and knowing what to do with your newsletter. Katie Hellmuth Martin is the publisher of A Little Beacon Blog and runs Tin Shingle, an online training and resource platform for small businesses and marketers. 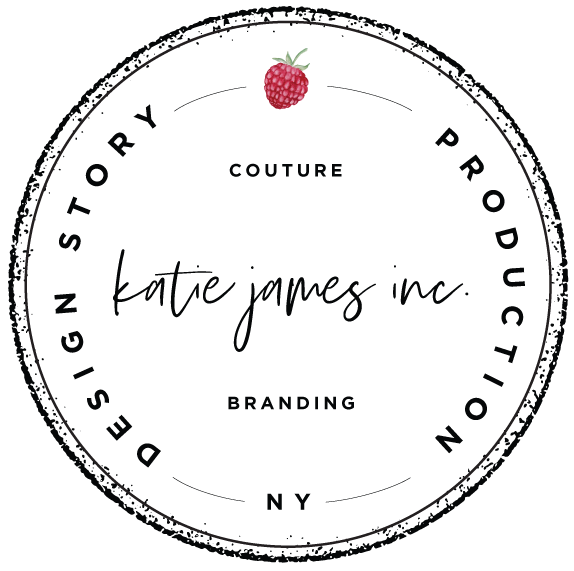 Having helped hundreds of businesses resolve myriad issues preventing them from promoting effectively, Katie is well-equipped to help you promote your business. This has been a partner message from our sponsor, Tin Shingle. A Little Beacon Blog can continue to report the news and things to do with support from businesses and friends like you! Click here to learn about ways to sponsor. Consider this a call to action. You've been in the car, in a restaurant, at a Trivia Night, sneaking views on Wikipedia to quickly answer a Very Big Question, like: "Were women really not allowed to own property?" Answer: You are correct! They weren't, until the Married Women's Property Act in 1939, when men needed to protect or hide their property from debt collectors during an economic crisis, and put their property into the name of their wives. Thanks Wikipedia for that info. Wikipedia gets its info from the public - it's crowd-sourced - so random people contribute their knowledge with links and citations to back it up, thus creating this ever-growing encyclopedia. Trouble is, according to a 2011 study, only 9% of these public editors are women. Editors can be anyone, but most of them are men. Two librarians from the Beacon library are spearheading a local effort to better represent women on Wikipedia. As part of an Art+Feminism Edit-A-Thon, Rajene Hardeman and Gina Shelton are calling for people - of all gender identities and expressions - to participate in the daylong event on Saturday, March 24, at the Howland Public Library. The goal, in honor of Women's History Month, is to improve coverage of gender, feminism, and the arts on Wikipedia. Beginner Wikipedians are welcome! According to organizers, Art+Feminism Edit-A-Thons across the world have created and improved more than 11,000 articles since 2014. Women make up about half of the population, so you’d think they’d (we’d) be represented equally on Wikipedia, right? Well, no, not so much. There are wayyyy fewer articles about women, and traditionally feminine topics, on Wikipedia according to this article, "Gender bias on Wikipedia" on Wikipedia. The Wikimedia Foundation, the nonprofit group behind Wikipedia and other public-information-focused sites, did a survey in 2010 to learn more about who pitches in to this colossal encyclopedia. It showed that less than 13 percent of contributors to Wikipedia's English-language pages were women. The 2011 survey showed the number had fallen further, to about 9 percent. Wikipedia author Sarah Stierch informally surveyed more than 300 other female contributors to dive into the “whys” behind women’s participation. astronauts Dr. Jan Davis (left) and Dr. Mae Jemison working on the space shuttle endeavor in 1992. They were among the first american women in space. Here's the thing: The lack of equal representation is itself harmful! Don’t historic women deserve the same equal representation? Of course they do! And current and future women - and men! - suffer the consequences of that lack of equal representation. People of all genders can have a hard time envisioning women in certain fields - because there’s not as much high-quality coverage and visibility. It’s time for that to change. Remember, 9% of the edits made on Wikipedia according to that survey in 2011 were made by women. Wikipedia is nothing but edits. The whole entire thing is edits. So. Are you fired up? Ready to go? Join the Edit-A-Thon on Saturday, March 24, at the Howland Library from 11am - 3pm. Organizers request that you bring your laptop, power cord, and ideas for entries that need updating or creation. New to this whole Wiki-editing thing? Fear not: The edit-a-thon will include tutorials for the beginner Wikipedian, ongoing editing support, reference materials, and refreshments. Don’t forget to RSVP - gotta make sure there are enough refreshments, right? If you can’t make it to this event, there are other ways to pitch in. Event organizer Art+Feminism is a great place to start. The Women in Red WikiProject is another group working on bringing Wikipedia up to parity. Get involved when and how you can. That’s the great thing about the Internet. 24/7. Ready when you are. Even on snow days. Celebrate this day of love. Pass it forward to anyone you see today. Anything can be a valentine - a hug, a piece of paper with a little note on it, something special you found, or just anything thoughtful. PS: This valentine was made at the revived Create Space popup venue (also home to Beacon Healing Massage), during their valentine card-making workshop last weekend. 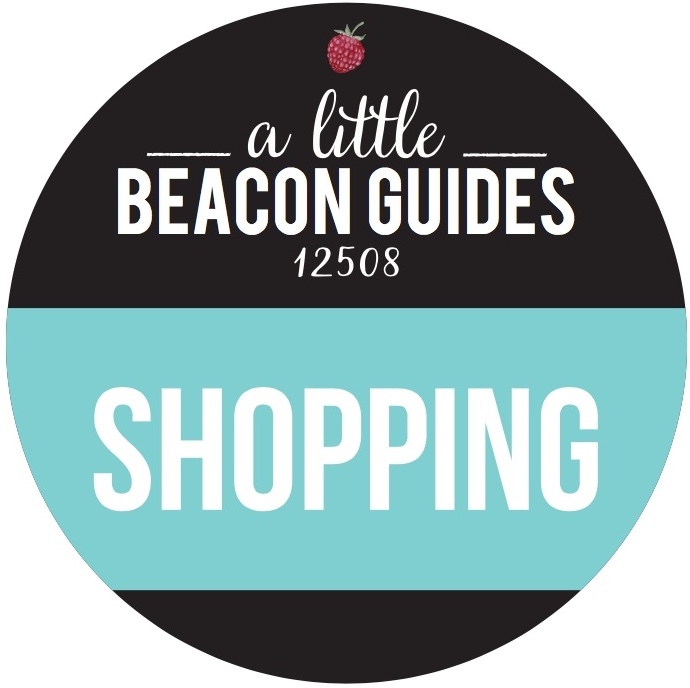 Find it in A Little Beacon Blog's Shopping Guide, and they often have pop-up shops or workshops in the Classes for Kids Guide or Classes for Adults Guide. Be sure you’re receiving our newsletter to learn of special events like that, and check our Things To Do In Beacon Guides to mark your calendar in advance! New Year's resolutions are in full effect, and fitness centers across Beacon are heating up! 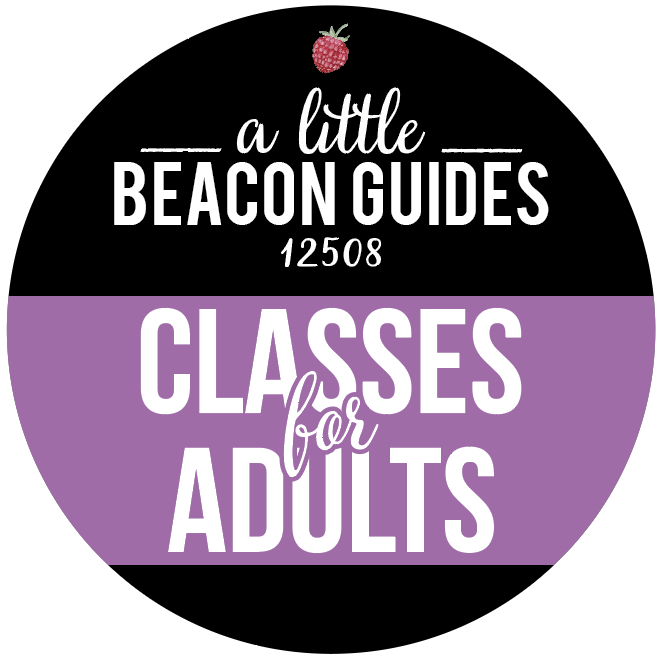 A couple of local businesses have recently made changes, and we've updated A Little Beacon Blog's Adult Classes Guide to reflect the changes. Be sure to check in regularly to see the latest changes and additions to the classes lineup! There are a lot of great lifestyle, business, and fitness classes to choose from. After 13 years on Main Street, Beacon Pilates has moved to their newly designed location at 18 West Main St., Suite 3 - the same building that houses 2 Way Brewing and BCAP, right by the train station. What's a bonus to that location, besides being so close to BCAP's pre-K and summer camp center? Parking. Tons of it. Park right in front of the building, or along the street. You can check out Beacon Pilates' new digs at their Grand Re-Opening Party on Saturday, February 10, from 5 to 8 pm. All are welcome, even if you have no experience with Pilates. P.S. : Thank you, Beacon Pilates, for coming on as an advertiser with us! Support from local businesses like theirs helps keep our publication crankin'! This week, Karla McGuire, owner of Shambhala Wellness Center, announced that the center is changing owners and its name. Alison Jolicoeur, Certified Yoga Teacher, Certified Health Coach, and Certified Shamanic Reiki Master Teacher, will be taking over. The space's new name will be Beacon of Light Wellness Center, still located at 4 S. Chestnut Street, just off the middle of Main Street near Rite Aid. The official opening of Beacon of Light Wellness Center will be Thursday, February 1, and the Grand Opening celebration will be on Second Saturday, February 10, from 10 am to 8 pm. If you're stuck on starting your website, Tin Shingle has the class for you: Make Your Website With Markers. That's right - you'll be setting up what will go onto your website, how you sell to your clients or customers, and what you want people to think and feel when they get to your website. 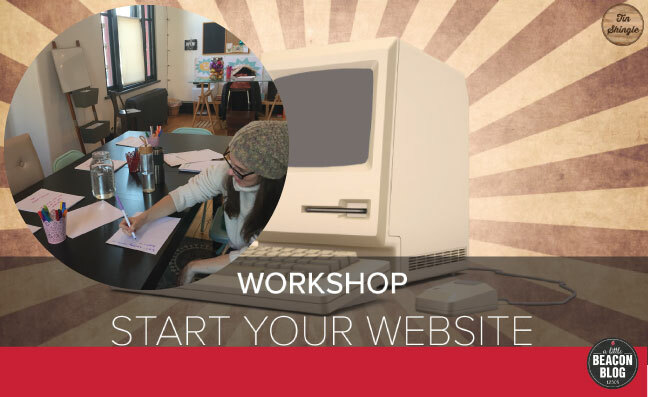 It's an easy and fun workshop that will knock out that creative block. New Year, New Beginnings, New YOU with Beacon's New Boutique Fitness Studios! Photo Credits: Instagram feeds of these businesses. It’s a new year, and a new year brings new beginnings and starting new habits for the better! It's a great time to hit the reset button on your health and try new activities. If you are looking to add some fitness into your routine, but may not want to commit to long-term, big-gym memberships, perhaps a smaller boutique gym that specializes in particular workouts may be more your speed. We recently shared what’s new in our Shopping Guide and included The Studio @ Beacon and Zoned Fitness, both on Beacon's Main Street. It’s hard to miss The Studio @ Beacon’s “Coming Soon” sign at 301 Main Street, and it has triggered curiosity from residents peeking through the windows. 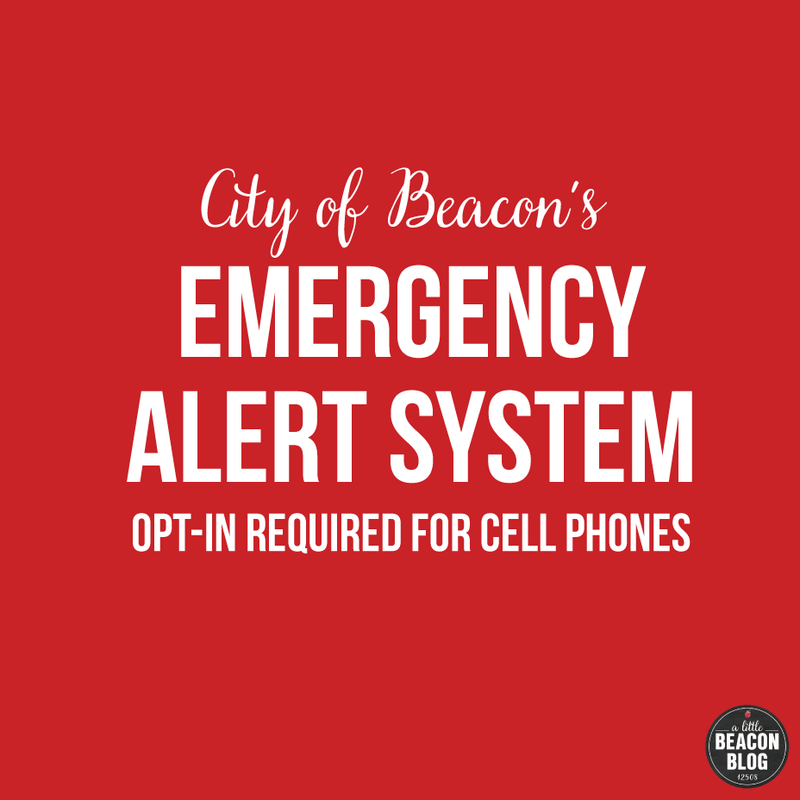 The Studio owners, Laura and Samantha, shared with me: “We’ve had so much positive feedback and we feel like Beacon is ready for this. We love hearing from people who are excited for what we’re bringing to town.” The Studio @ Beacon specializes in Spin and Boxing classes, which Laura and Sam are very passionate about. They will have their ribbon cutting this month on Second Saturday, January 13. Zoned Fitness is the first personal training studio in Beacon to offer Heart Rate-Based training, creating a workout regimen specifically for your needs. Located at 490 Main Street, it was formerly Hudson Valley Fitness, but the business underwent rebranding and reopened in November 2017. They felt the original name did not reflect the type of fitness program they provide - the Zoned Training Method. Zoned training is a style of training that allows the trainee to scale their program, routines and exercise through four zones based on ability or fitness level. In addition to getting in shape, Zoned Fitness also teaches about nutrition and living a healthy lifestyle. You can sign up for an all-fitness-level class like Boot Camp or HIT (High Intensity Training) or Personal Training for more personalized attention, or if you're working through an injury or other physical limitations. If you are looking for more than just a physical challenge but also mind and body, there's a Beacon spot to cover that. 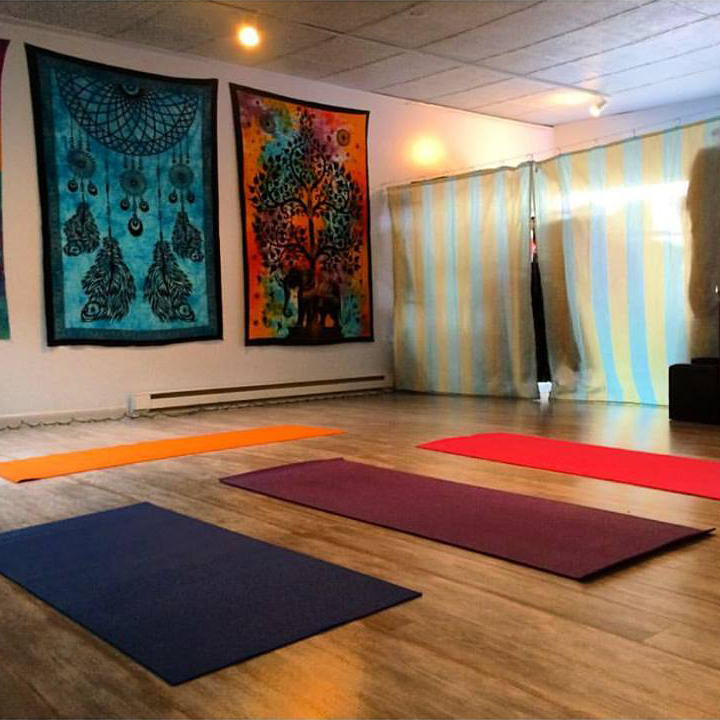 Last year, Shambhala Wellness Center at 4 South Chestnut Street underwent an makeover to provide more than just yoga. You can also receive massages, reiki (traditional and shamanic), nutritional counseling, health coaching, cognitive therapy, herbal medicine and psychic readings. You do not need to be a flexible yogi with a Lululemon wardrobe to check out one of their upcoming workshops, like AcroYoga Fundamentals! [Update 1/12/2018]: And this just in! Beacon Pilates has moved locations after a decade on Main Street in Beacon. Find them now on West Main Street, near the train station. Their upcoming grand re-opening party is in February. Don't worry about making too much of a change all at once - a big reason why some resolutions don't work out. You don't have to give up (all) of the good stuff. One of the things Laura and Sam love about Beacon is the number of tasty options available. “If you haven’t already, you’re likely to see us around town eating and drinking… We’re not ashamed of our imperfect bodies, so [you might] hear us talking about the Big Bird we just ate at Stock Up, the fish tacos we love from Max’s, or a coffee run to Ella’s Bellas that inevitably includes a few of their insanely delicious salted chocolate chip cookies.” Take baby steps! Inclusiveness is the continuing theme for smaller boutiques and studios. They bring a different kind of vibe when it comes to fitness, which can be welcoming for exercise newbies. Being part of a smaller fitness community may be just what you need to stay committed. Adult Classes, Health and Wellness, Come In! Spring planning has begun. The arts scene in Beacon is flourishing, attracting artists from all over to spend the day or a week here. With the Atelier Room 205, visiting and local artists have a wonderful and inspiring studio to host a workshop in. The Atelier, one of Beacon's newest teaching studios, is located in the old Beacon High School, a building brimming over with creativity. It is a school building converted into artist studios. Your students will feel the creative impulses for sure during your workshop! Book now for Spring and Summer dates by calling owner Maria Amor at (646) 705-3833 or email AtelierRoom205@gmail.com. This message has been a sponsored post from our Sponsor Spotlight partner, Maria Amor, founder of the Atelier Room 205. Thank you for supporting businesses who support us! It's Sunday night... How did your bill paying go? Coming to A Little Beacon Space this Thursday is a workshop designed specially for artists, entrepreneurs and business owners to help them with their financial planning, led by a woman who has worked with artists for years to help them craft retirement planning and good money habits that work with their lifestyles. She even designed these cute flashcards that were featured on the "Today" show. "I have high credit card bills. I try to pay those, and put nothing towards my IRA or any kind of retirement planning. Is this a good strategy?" "I never have a lot of money, so when I get a windfall for a being hired for a new project, I'm apt to spend all of the money at once. Help. What should I do with it? Save it? Invest it? Pay bills?" As an artist or business owner, you are your own boss. No one has set up a retirement plan for you. No one is matching your hard work. Who is going to do it for you? You are. And Galia's guidance can help shine the light on your future good habits. My Money Matters Flash Cards Included With Ticket Purchase! Now, when you get a ticket to this workshop, you will get Galia's My Money Matters flash cards that were featured on "Today"! More importantly, they are adorable to look at, and serve as realistic affirmations of what you can do. Get organized. See where you are today and where you want to be. Create a budget and spending plan that works for you. Develop a plan for automatic savings. Take away the uncertainty of retirement planning and determine the best retirement plan for you. Best financial resources including apps, websites, books and ongoing tips. Learn how to deal with your finances in just 30 minutes a week. Galia Gichon is an independent personal financial expert with more than 20 years in financial services, including nearly 10 years on Wall Street and an MBA in finance. She runs her own company, Down to Earth Finance, which addresses personal financial needs through seminars and individual sessions. She is a frequent speaker at Barnard College’s Athena Center for Leadership, Playwrights of NY, Lark Theatre, New Museum NYC, Crave Live, and Freelancers Union. She has been widely quoted in The New York Times, NBC, CNN, Real Simple and more. Previously, she worked at Bear Stearns and Nomura Securities. She is actively involved in angel investing through Pipeline Angels, Astia and Refinery CT. Galia is also the author of “My Money Matters,” a flashcard-based finance reminder set that was featured on the "Today" show. I'll have my notebook out. Before I signed the lease on the space, I literally asked Deborah, the building owner and landlord, would I have privacy in the office because sometimes I needed to do my morning exercises. She responded by offering to install blurry glass in the office door, but that didn't seem necessary once I learned that I could do my morning stretching routine behind a wall in the middle of the room. In the winter, I don't run outside as much because my bones get too cold and stiff, so it's either off to All Sport (where I can sit in their sauna!) or do a little routine at my desk! And so I thought: "Wouldn't it be fun if others got this quick morning workout, too?" So Jane Savage, founder of Savage Health and a certified Integrative Nutrition Health Coach and USPTA-certified tennis coach, who for many years taught cardio tennis for all ages, is going to lead us in a 30-minute workout on Tuesday from 9:30 am to 10 am. Tickets are $10 and there are only seven spots left. Get it online or at the door, and bring your sneakers! Mats will be provided for any floor work. Come on in and jump around!